mixing ‘Wanda Pethi’ (tablets to make a woman barren) in the food that they eat. 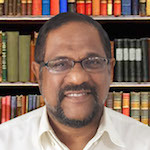 The alleged objective is to reduce the Sinhala population while increasing the Muslim population so that Sharia law can be introduced in Sri Lanka. Mr. Prime Minister both you, as the Minister for Law and Order and the IGP need to focus investigation on the following premise. If these criminals acted as they had done because the hotelier had mixed these tablets in their food, why did they attack and cause damage to the mosque? What could have been the possible correlation between the two? They are mutually exclusive entities. The mosque is a revered place of worship of the Muslims. 'The Muslims are not asking for any special favours from you as the Prime Minister nor as the Minister for Law and Order nor any favours from the Inspector General of Police. Both of you belong to the Executive arm of this country. What the Muslims are asking for is very simple and clear. an offence referred to in subsection (1), shall be guilty of an offence under this Act. The Muslims are not asking for any special favours from you as the Prime Minister nor as the Minister for Law and Order nor any favours from the Inspector General of Police. Both of you belong to the Executive arm of this country. What the Muslims are asking for is very simple and clear. Please establish the RULE OF LAW in this country. This country cannot afford to continue in this path of growing anarchy and chauvinistic hegemony. This has to stop.